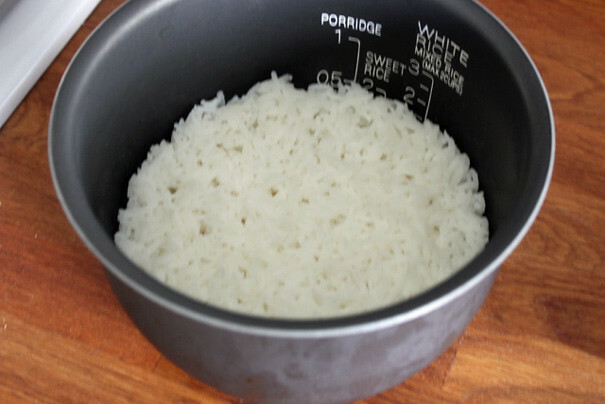 Along with my chickpea curry disaster, I’d made some white rice in my rice cooker that looked like it was going to go to waste. I could have made rice pudding but Craig hates rice pudding so I put the leftover rice in the refrigerator and forgot about it. On Saturday morning, I took it out again and had an idea. 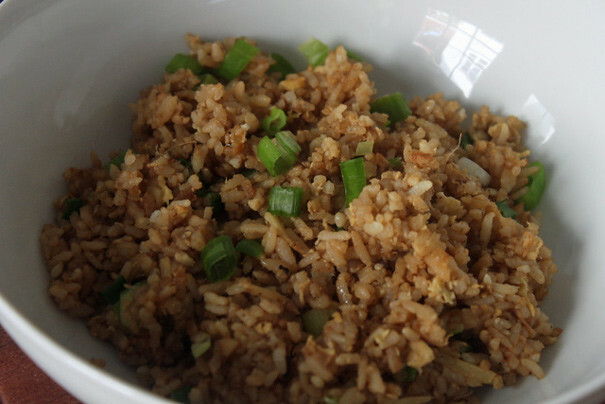 When Grace Young taught me how to make fried rice for my cookbook, she made the rice a day ahead because it’s better to use cold refrigerated rice than hot rice right out of the cooker. 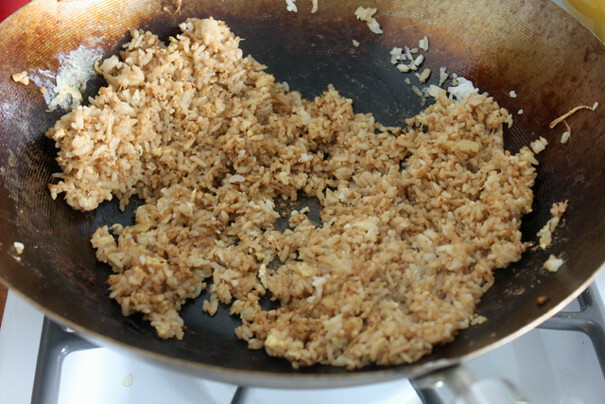 I could make fried rice! For breakfast! It’s just the sort of thing Ruth Reichl Tweets about. Really, there’s not much to it. You just need a really good, seasoned wok which sounds expensive but is really just $14 if you follow Grace Young’s advice from my book. I got my wok out and let it start heating. Then I prepped the flavorings: some ginger (about a 1-inch knob, julienned), some garlic (2 cloves, minced), and scallions for the end. Oh and two eggs which isn’t what Grace Young taught me to do but I wanted eggs in there because this is breakfast. So I read a little about that online. 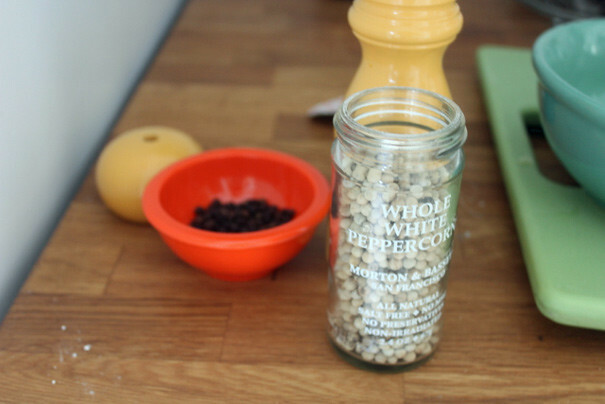 I also emptied my pepper grinder of black pepper and replaced it with white pepper because that’s what Grace Young uses. When the wok was good and hot, I swirled some Canola oil down the sides (about a tablespoon, though peanut oil would’ve been preferable) and added the ginger and the garlic. Almost immediately, they started to darken. Which is why I always wonder why people say home stoves don’t get hot enough for woks. 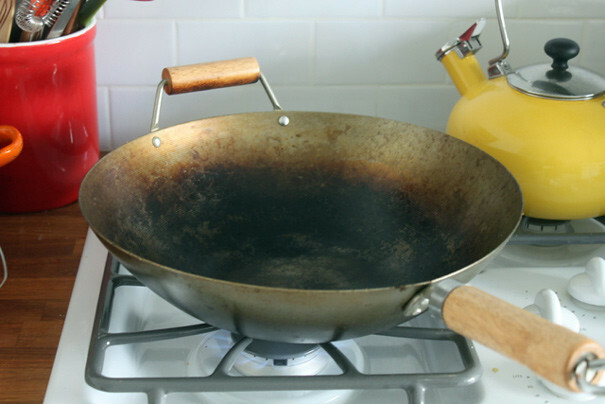 Any time I’ve ever used a wok, it gets outrageously hot and I have to turn down the heat. 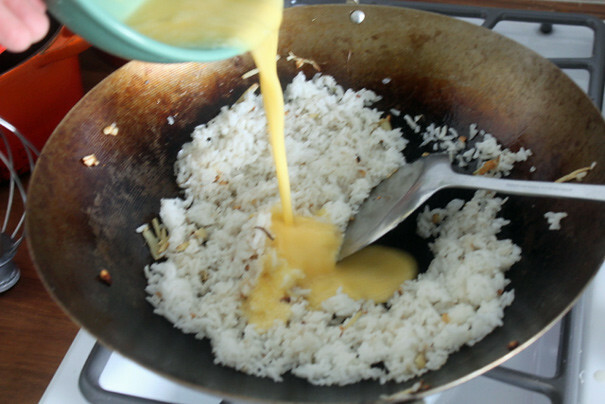 When that happened, I added the rice (about 3 cups cooked) and started breaking it up with a metal spatula. This actually takes work–that picture shows it pretty far along, but I really put some elbow grease into it. 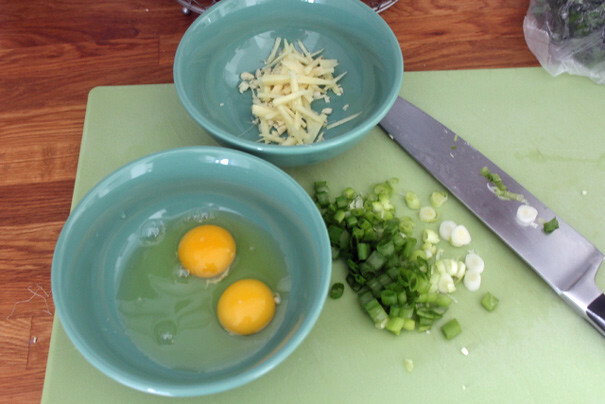 Then I added those two eggs, which I beat up a bit with a fork. 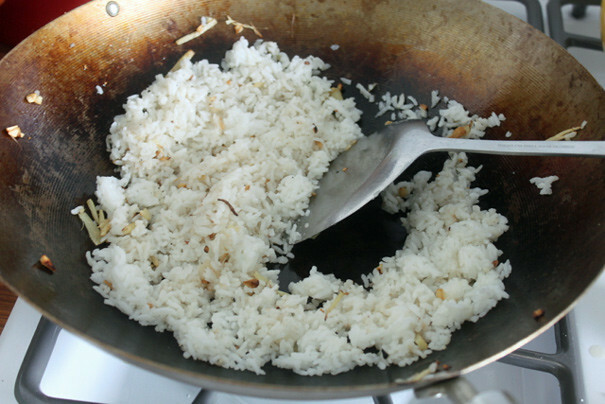 I worked that all around and finally, at the end, flavored the rice with soy sauce and white pepper. 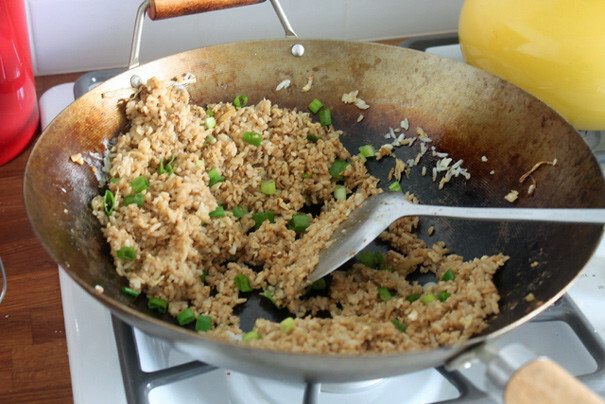 Stirred in the scallions (cilantro would’ve been nice too) and there you have it, fried rice for breakfast. Just goes to show you: When life throws you inedible curry, you can refrigerate the white rice and make fried rice on the Saturday or Sunday after. I’m going to crochet that on to a pillow.